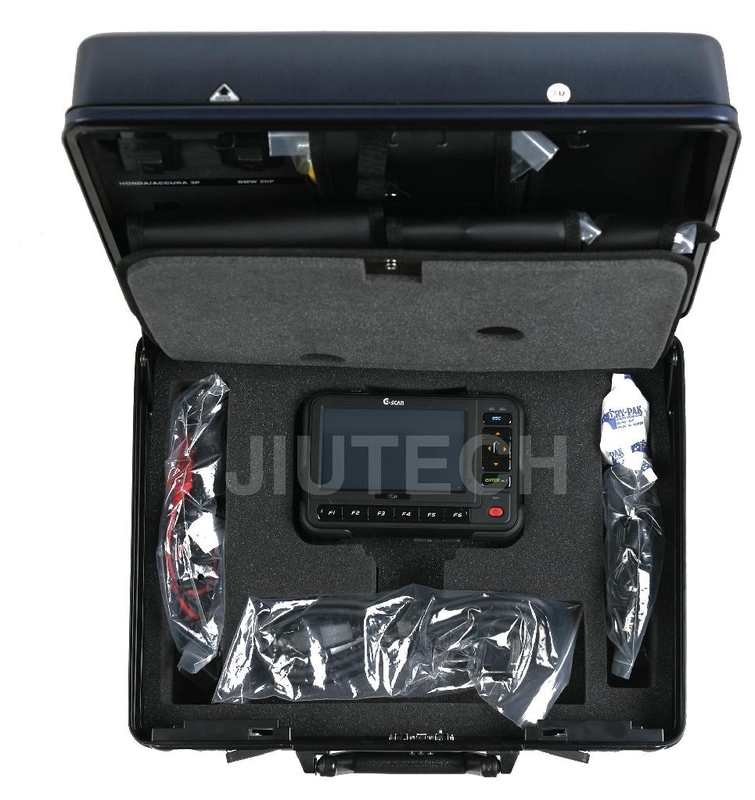 The G-Scan will provide an auto search function that tries to communicate with ALL possible in the vehicle in sequence, and reports back with a list of all available systems. Menu selection is done by simply touching the screen.Intuitive Touch Screen eliminates complicated button pressing procedure for making selections in the menu. G-Scan is equipped with the 5.6 large scale Color TFT LCD,which provides greater readability and more convenient user interface. G-Scan provides multiple USB slots for functional expansion by connecting with the extermal devices that will become available in the future. 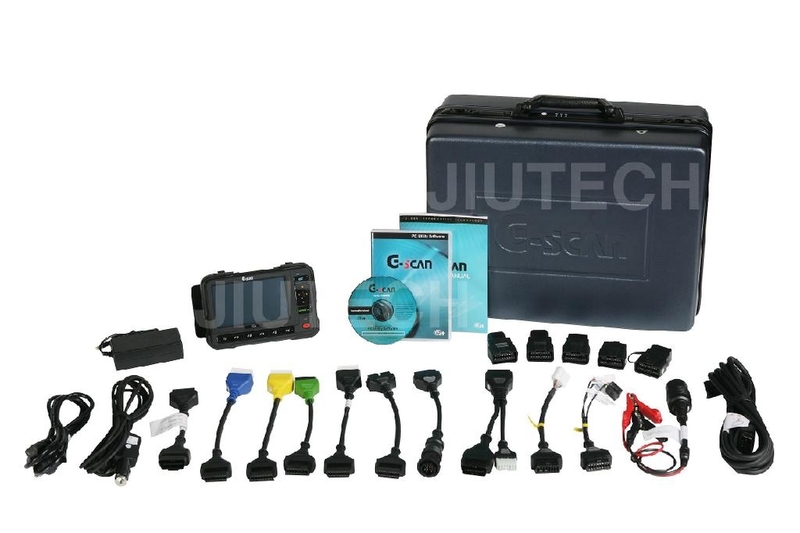 Check and erase the self-diagnostic fault codes contained in the electronic control units that support communication with the extermal diagnostic devides. Provision of standard diagnostic function for OBD2 PAN and EOBD compliant cars. Trigger the Opportunity of adjustment of the trigger. Level: 0 - 100 %. Delay: 0 - 100 %. Ignition testing (primary and secondary ignition). Maximum voltage - 100 kV. Cylinder power balance measuring (with optional Current Pick ups). Low current: 50mA ~ 100A. High current: 1A ~ 600A. Opportunity of preservation in non-volatile memory of the device of oscillograms in each mode. Fixation of the image on the chosen moment, approach, removal, record, processing. Opportunity of formation of the user library of measurements (over 20 banks of memory). on the checked gauge or an executive element (purpose, possible types, principles of functioning, the order of connection, the location, a technique of check, typical oscillograms, etc. ).